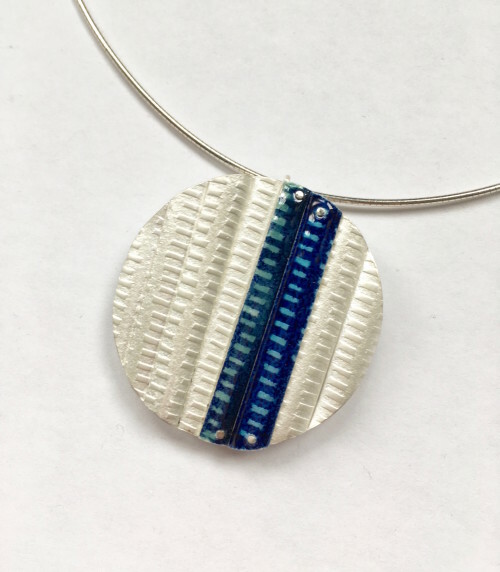 Pattern making is an important part in Morna Darling's process and she is fascinated with the structural repeated elements of fabric and how to emulate these in her jewellery. Her work takes inspiration from fabrics and clothing and she is interested in representing the qualities of cloth such as layering, threading and folding. 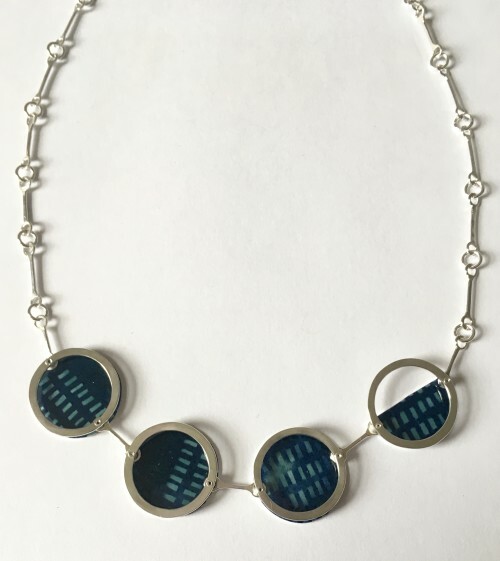 Working with a subtle palette of blues and silver Morna creates wearable pieces with texture, pattern and unique compositions of materials. 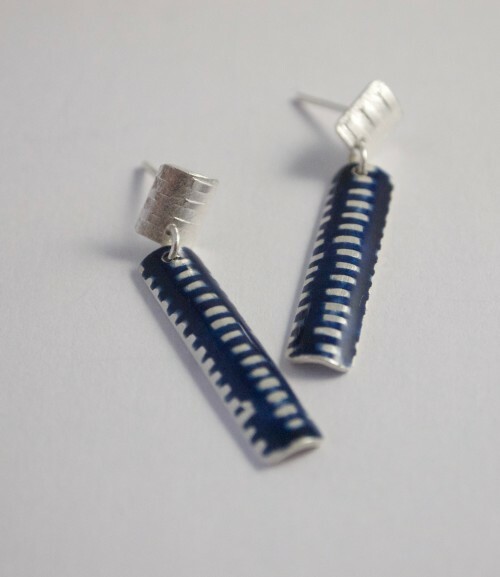 Work currently available at Craft Town Scotland, West Kilbride and also online on the Craft Scotland Shop.